You’ll have a chance to relive all those moments and more, when “Remember… Dreams Come True” once again begins regular weekend performances on February 3rd. In the not-too-distant future, when Cinderella looks out her castle window she may spot a drone flying by. The Walt Disney Co. has taken the next step in integrating drones into its fireworks shows at Disneyland and Walt Disney World: it has applied to the Federal Aviation Administration for what’s called a Section 333 exemption, which allows a company to legally operate drones commercially. Currently, it is illegal to operate a drone for commercial purposes, though that’s expected to change in 2016. The drones would fly preprogrammed flight paths and emit LED lights at various intervals, lighting up the sky. Up to 50 drones at one time might be used for nightly firework shows, according to details included in the Section 333 exemption request. But no need to worry about a drone crashing down and ruining your vacation — Disney also said in the paperwork filed with the FAA that these drones will only fly in the theme park’s “pyrotechnic clear zone,” meaning areas that are inaccessible to visitors. The company currently is using drones manufactured through 3D Robotics, a Berkeley, Calif.-based drone startup that has raised $99 million over four funding rounds from investors including Qualcomm Inc. and Richard Branson. 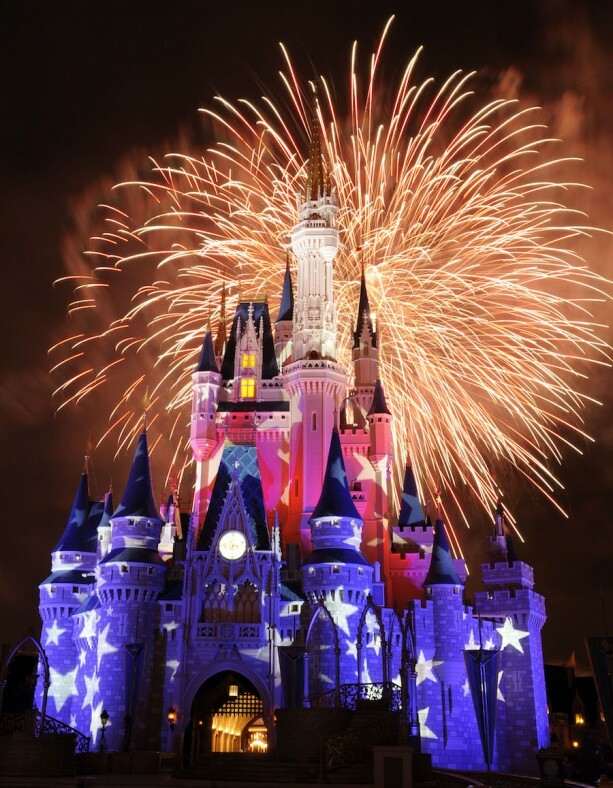 So you’re not able to be at Walt Disney World Resort for the Fourth of July but you want to celebrate the holiday in Disney style? Well, the Disney Parks Blog has you covered. We are excited to announce that the Magic Kingdom Park July 4th fireworks show will stream ‘live’ at 9 p.m. right here on the Disney Parks Blog. 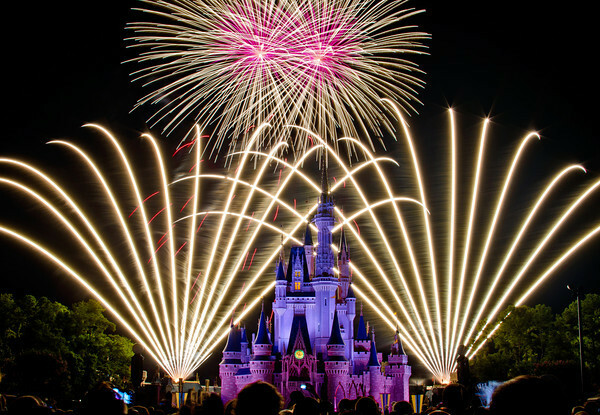 Join the Disney Parks Blog as “Disney’s Celebrate America! A Fourth of July Concert In The Sky” paints the sky red, white and blue and fills the air with patriotic music. This special show features perimeter fireworks launched from around Magic Kingdom Park and an island in Seven Seas Lagoon. To make sure you have the best view in the house we are providing two live cameras for you to choose from. One camera in front of Cinderella Castle and the other near Disney’s Polynesian Village Resort to take in the entire perimeter spectacular. Guests viewing from their desktop will be able to switch between the two cameras during the show. Those ‘on the go’ and joining us on mobile devices, will be able to take in the live view from the castle location. The live feed starts at 8:50 p.m. on the Disney Parks Blog, with the fireworks show beginning at 9 p.m.
Th new FastPass+ parade and fireworks viewing areas will soon be in use at the Magic Kingdom as construction work on the hub area progresses. Beginning today the FastPass+ parade viewing location for both daytime and nighttime parades will move from the hub area to Town Square by the flagpole. Starting on February 27th, the fireworks FastPass+ viewing area will move from the Rose Garden to the new Main Street Plaza Gardens that are currently under construction. One is located in-front of Casey’s Corner, and the other is in-front of the Plaza restaurant. FastPass+ reservation for this area will give guests a choice of which side to view from, based on availability on arrival. Beginning January 9th, Disneyland park guests will have the chance to stroll down memory lane when “Fantasy in the Sky” fireworks returns. 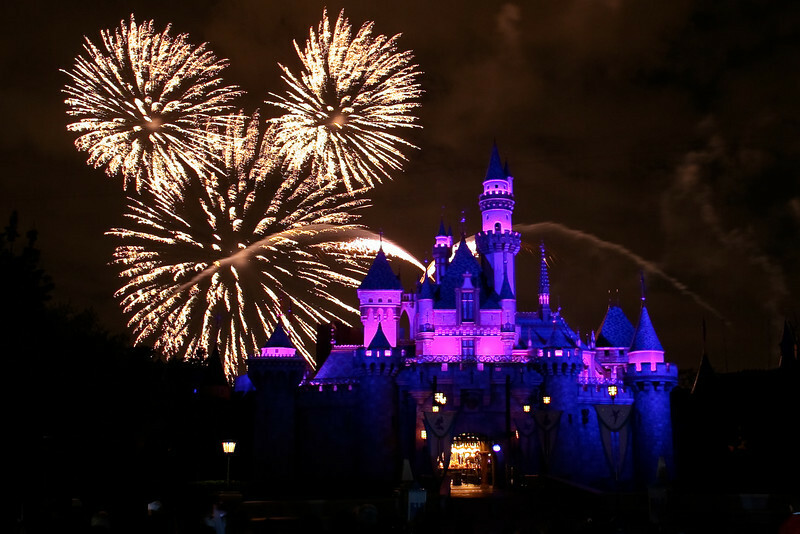 This classic Disney Parks nighttime spectacular began lighting up the sky above Sleeping Beauty Castle in 1958, and was last seen in regular performances 2004 – later to be seen in special showings on New Year’s Eve. It has also been featured at Disneyland Paris and Magic Kingdom Park at the Walt Disney World Resort. “Fantasy in the Sky” returns tomorrow night with its familiar soundtrack, featuring classic Disney tunes, and an all-new fireworks program. Come see this Disney Parks favorite soon, because it will only be presented for a limited time. We’re very excited about everything to come in 2015 … stay tuned for more updates!